Orchids Classified: A free member service! - Looking to sell an orchid or surplus supplies? 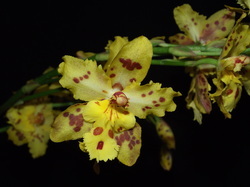 - Looking to buy a particular orchid or supplies? It is asked that if you sell your item through this FREE service that you consider donating 10% or more of your sale to the Society to help us continue to offer fun member services, speakers and field trips. Disclaimer: The sale of plants or supplies constitutes a transaction between the identified seller and buyer for which the Windsor Orchid Society bears no liability. Buyers should always quarantine new plants from any source before introducing them into their collection to control any pests or diseases that might otherwise be transferred. Note: You must be a member to place a For Sale ad in this section. it is you responsibility as a buyer to inspect any item before purchase. Provide the wording of your ad and send photo to laelia@aol.com.